Once approved, please post your Character sheets in here. Heavily Modified Corellian HT-2200 Medium Freighter "Greased Nerf"
Bri'tan Shi'ld is a young Bith tech junkie. Even from his earliest years he has loved anything mechanical, but anything that can be driven or flown has a special place in his heart. He craves the wind in his hair and the g-forces of flight the way a junky craves his next fix. Unfortunately, this need for speed has a tendancy to get him into trouble. "Sorry officer, I didnt see any speedlimit posted." or "That was your speeder? Boy its fast!" A few months ago, he acquired the HT-2200 Medium Transport the "Greased Nerf." More recently, he rescued an astromech droid from a scrap heap (Droid will be played by Matthias777). After repairing the droid, it became his constant companion, and the closest thing he has to a friend. He has two loves in his life, the first is any piece of machenery that can move a living being at alarmingly fast speeds. The second is the latest piece of tech on the market. He dosnt really understand living creatures, often feeling awkward in social situations. This often manifests itself in the form of his "Borrowing" vehicles from complete strangers without asking first, or invading people's personal space, . . . The Greased Nerf has a LOT of modifications & quirks (Both good and bad). I'm refraining from posting them here since they will likely become important to the GM at some point. Besides, why ruin the surprises, . . . Clones age twice as fast as normal humans. spare comlink, water packs, 2 medpacs. Alpha-��, otherwise known as �Nihl� is an Alpha-class Advanced Recon Commando captain in the Grand Army of the Republic. Nihl, like the rest of the ARCs, first saw action with the Separatist�s invasion of Kamino where he proved his battle readiness and was promoted to the rank of captain. While the Kaminoans instilled uniformity in their clones, limiting the choices and individuality available to them, Alpha-�� along with the other first few clones (for example, Alpha-�2 �Spar�) had a slight aberration that allowed independent thought. In spite of this, Nihl has willingly maintained the anonymity enforced on him, and has continued to demonstrate loyalty to the Galactic Republic. After Kamino, he fought in the Battle of Geonosis where he and a group of 12 troopers he commanded were separated from the army due to a transport mishap during a special mission. They were stranded for weeks and were forced to survive several harsh solar radiation storms and massive sandstorms, as well as food & water deprivation. After watching all of the troopers under his care die one-by-one, he was the sole rescued survivor. Nihl vowed never to be helpless in the face of such circumstances again. Since then, Nihl has participated in many smaller missions where his new-found interest and expertise in survivalist training has been useful. Nihl has seen some pretty messed up stuff in the battles he's been in and has been forced to survive in unusual circumstances on numerous occasions, so he seems very distant...always focused on every little detail that may be the difference between life and death. He has an (appropriately) nihilistic philosophy on life. He is still loyal to Republic and the men under his command, but is very disillusioned with the war as a whole and his place in the universe. He doesn't wear the normal ARC pauldrons and kama because he considers it all extraneous and vain. He likes to keep everything "bare bones". His color scheme is not regulation.... going with sort of a "dried blood" burgundy rather than the official captain red. Likewise his markings seem hand painted and stylized. Accelerated Growth: Clones age twice as fast as normal humans. Built for stealth operations, it is dark gray in color (not glossy). It does not have elbow, knee, or hand protection to allow more flexibility. Alpha-21, otherwise known as �Shadow� is an Alpha-class Advanced Recon Commando Lt. in the Grand Army of the Republic. Shadow has been Nihl�s second in command since he took command of the four man team after he had lost his men in an accident. He is one of the few that knows the details of the Captains past but he has never ever talked about it to anyone. He has complete loyalty to his team although he feels much less loyalty to the army as a whole as he has never served in a normal combat unit. He was raised as a scout and was therefore given limited interaction with the normal infantry to prepare him for lone mission types and small unit operations. He is the teams advance intelligence scout and sniper and as such keeps his equipment to a minimum. He has received even further training in intelligence gathering, evasion, and sharpshooting making him ideal for this special forces type of team. He takes his job very seriously (as he knows nothing else), and is a hard worker. Clones are usually almost identical but there are always some little quirks, whether they be due to slight genetic mutations or just slight differences in upbringing environment. For some reason Shadow has always been very good with reading people and is very amiable (particularly for a clone). His ability to get along with people has not only helped the team grow closer but has also managed to become useful in intelligence gathering and has even gotten the team out of a hairy situation or two. Shadow is sociable, but keeps information about himself to a minimum. He has seen his share of combat and is an experienced veteran but that doesn�t make him feel any less confused about his personal identity. He knows that he was brought into this world to fight wars but he is still human and occasionally has feelings and thoughts about what he will do when this war is finally over. He has constantly been in combat since the beginning of the Clone Wars and has a few grey hairs to prove it. His use of cover and natural foliage for camouflage is apparent by his dinged up mud and dirt covered dark grey armor. He has taken some fire in combat and has a blaster burn mark on the left side of his neck to prove it, making it much easier to distinguish him from the other clones with their helmets off. Name: Kirilo Urkuloi, "Lurk" to his friends. Appearance: Lurk prefers to keep himself hidden under a greasy poncho and hood, but the grinding crunch of his substandard mechanical arm and red glow from his robotic eye give him away as some sort of patched-together war veteran. A deathstick always hangs from one corner of his surly mouth, the glow from the drag revealing narrowed eyes and a face pulled into permanent sneer by the cybernetics bolted to one side of his skull. He's a chainsmoker, lighting his sticks with a menacing pilot burner built into his mechanical arm. Personality: If you're looking for good company, you've got the wrong guy; he don't say much, when he does it's little more than a raspy whisper, and never a kind word at that. Background: You don't want to know, kid, you just don't want to know. � Type II Atmosphere Breathing: �True Ubese� require adjusted breath masks to filter and breath Type I atmospheres. Without the masks, Ubese suffer a -1D penalty to all skills and attributes. � Technical Aptitude: At the time of character creation only, �true Ubese� characters receive 2D for every 1D they place in Technical skills. � Survival: �True Ubese� get a +2D bonus to their survival skill due to the harsh conditions they are forced to endure on their homeworld. � Survival Pack (contains two week�s rations, three medpacs, a glow rod, two thermal flares, a single-person di-chrome shelter, a breath mask, six meters of syntherope, a knife, and a portable fusion power generator, vibropick, fusion cutter, pocket computer, recording rod, portable field scanner, macrobinoculars, standard explosive charge, exposure suit, portable moisture vaporator). creatures of some sort, rather than an intelligent species. History: Daevon was taken from his homeplanet when he was very young. The Jedi scout that took him, thought he was a non-sentient, and so for the first six months off planet, he was treated as an animal. It wasn't until he was in the Temple, being studied, that they started suspecting he may have been sentient. Whilst in the Jedi Temple Menagerie, Daevon kept escaping, and it wasn't until he spoke that someone took notice. After that his study in the way of the Jedi began. He spent most of his time in the library, and when in class would sit or lay at the Masters feet. Most, if not all, in the various classes thought he was nothing more then an animal, the Temple mascot. His lightsabre training was done one on one with the Masters. When the war broke out, it didn't really effect Daevon. He just continued to study. So it came as a shock to him when the Council deemed that he was ready to become a Padawan. The crew on the ship, that he was put on to take him to his new Master, have treated with both respect and indifference, and he has found the Clones fascinatingto watch. Objectives: To experience life and the Force to the full, and to survive the war. This character is Force Sensitive. PHYSICAL DESCRIPTION: Daryn Medallea is a tall, lean-muscled Anomid male. Like all Anomids he was born without vocal cords and wears a vocalizer face mask that covers his nose and mouth. Daryn usually wears Jedi robes of some sort, quite often with a sleeveless tunic that displays the ruddy skin tone common among the nonconformists�a small but growing percentage of the Anomid population that eschews the heavy, concealing clothing most Anomids wear). Through an inheritance from his parents, Daryn also has a wide range of clothing not normally possessed by a Jedi. These have served him on missions where discretion was required in place of storming a facility, Jedi robes flapping in the breeze and lightsabers humming dangerously. Daryn has long, black wispy hair surrounding the bald crown of his head, large silvery eyes, and hand-sized, leaf-like ears pressed back along the sides of his head. For more information about Anomids, see Galaxy Guide 12: Aliens-Enemies and Allies, pages 14-17. Ambidextrous: Daryn is equally comfortable using either hand, suffering no off-hand penalties. Technical Aptitude: Anomids have a natural aptitude for repairing and maintaining technological items. At the time of character creation only, Anomid characters get 6D bonus skill dice (in addition to the normal 7D skill dice). These bonus dice can be applied to any Technical skill, and Anomid characters can place up to 3D in any beginning Technical skill. These bonus skill dice can be applied to non-Technical skills, but at half value (i.e., it requires 2D to advance a non-Technical skill 1D). Languages: Time to use: One round. This skill specialization is used to understand and �speak� the unique Anomid form of sign language. Only Anomids and other beings with six digits per hand can learn to �speak� this language. The skill costs the normal amount for specializations, but all characters trying to interpret Anomid sign language without the specialization have their difficulty increased by two levels because of the complexity and intricacy of the language. Wealthy: Anomids have one of the richer societies in the Empire. Beginning characters should be granted a bonus of at least 2,000 credits. Pacifists: Anomids tend to be pacifistic, urging conversation and understanding over conflict. Daryn Medallea has lived almost his entire life at the Jedi Temple on Coruscant. Taken from his family at a very early age, as is tradition, his education has come solely from the instructors at the temple and from his experiences with his own Master. Daryn is not a typical Anomid; most of his race are pacifistic and would prefer to encourage diplomacy over conflict. However, having not been raised among his own kind, other natural proclivities Daryn possesses have been allowed to develop, and have even been encouraged. Most prevalent among these is his natural combat ability. Not only has Daryn excelled in martial arts, lightsaber and bladed weapons techniques, he has trained in Form X (Jar�Kai) fighting which employs two lightsabers. A rarity among the Jedi in general, this is virtually unheard of in an Anomid. He has received training from the greatest of the Jedi Masters, including Yoda, Mace Windu, and his own master, Ki Adi Mundi. Daryn is a newly-minted Jedi Knight. Having just very recently passed his trials, he finds himself thrust into a very hectic time in the galaxy, with practically no chance for celebrating his success. The Clone Wars are ravaging the galaxy. The Jedi find themselves spread dangerously thin, having been pressed into service as combatants on the side of the Republic. Masters and Knights alike are spread across the galaxy, either commanding troops or performing solo missions to aid the war effort. Daryn finds himself likewise pressed into such a position; he has been given operational command of a small squad of not only clone troopers, but of several non-military personnel as well. In addition, he has been given his own Padawan learner to train while he tries to not only stay alive, but learn how to effectively lead diverse troops in an active battle zone. While not entirely inexperienced in working with Padawans, even with teaching a little bit (primarily with lightsabers or bladed weapons), Daryn has practically no experience with the Covallon race, of which his new Padawan is a member. This form is the most basic form of lightsaber combat. Its first moves are not so much intended for combat but more to learn body control. Later teachings provide the student with rudimentary fighting moves, while training and especially mastery in that basic form can prove to be very powerful in duels. Heavy Strike: Difficulty +5 A two-handed strike that hits the opponent hard, and therefore deals +1D damage. Swing Attack: Difficulty +1 The Jedi moves the blade in a wide circle and is able to strike two opponents at once without penalty. However the opponents have to be within 180 degree in front of the striking character and only receive �1D damage, since the hit is fast and slighter than when hit directly. Additionally the character receives �2D to parry or dodge rolls towards these two opponents, since the move makes the combatant open to attacks. Quick Parry: Difficulty +10 The fighter parries an incoming attack and moves in a way that blocks the enemy�s movement. The two characters have to make an opposing dexterity roll or the attacker falls to the ground. Blade Shield: Difficulty +5 The Jedi circles both blades in front of him, spinning them and by that creating a shield in front of him. This gives him a +2D bonus to any parry rolls. However this has to be the only action of the Jedi in that round besides basic movement. Double Sweep: Difficulty +15 The Jedi grabs both sabers upside-down and moves both hands from an outward position and back again. Any opponent within that 180 degree angle is hit twice. However the quickness reduces the damage by �1D-1. The V1 Pilot Droid. The V6 Pilot Droid. The PG-5 Gunnery Droid. The P-2 Astromech. The Q7 Astromech. The R1, R3, R4, R5, and of course, the ubiquitous R2 Astromech Droid. All produced by the towering monolith that is Industrial Automaton. In addition to its other lines (of which it has many), IA churns out new model after new model of droid for the aerospace industry, each with a slightly different purpose, each with a slightly different target market. Similar statements could be stated about their chief competitor, Cybot Galactica. Enter Kalibac Industries, a boutique droid manufacturer with a galactic reach and an umatched drive to be better than the Big Two in every aspect of our business, from design to production to customer service. Showcasing that drive is the new GDM-8 Co-Pilot Droid. We told our engineers to design models to surpass the very best that our competitors have to offer, and they've done it---not with a dozen different models, but with one. The GDM-8 Co-Pilot droid isn't just better than the R2 Astromech or the V6 Pilot Droid, it's better than everything our competitors have to offer. How did we do it? Simple. The Big Two like to install less extensive (and less expensive) TraitWare databases into their units, then add on specialized SkillWare in order to tailor each model to fulfill a different role in a given field. With massive production facilites in multiple systems, they are able to absorb the high initial cost of producing several different models, and then reap the benefits by forcing consumers to buy more than one model type to satisfy all of their needs. By consolidating all of our different target markets in the aerospace field, we have been able to install more extensive TraitWare, giving our GDM-8s a vast amount of base knowledge to draw from, and then adding on minimal SkillWare to round out their capabilities. This means that our aerospace division is able to concentrate production on a single model, simplifying quality control, reducing down time caused by machinery changeovers, and making overall production more efficient. By employing this production model, we are able to manufacture a droid that not only competes with other droids in its field, but out-performs them. Another significant improvement in the GDM-8's design over its competitors include fewer moving parts; whereas most droids in this field utilize a combination of wheels and legs for mobility, the GDM-8 eschews moving legs altogether, replacing feet with retractable wheels with exposed, rugged, non-slip rubber tires. Without moving legs, the GDM-8 instead opts for a low-profile, externally-mounted repulsorlift ring located directly beneath the droid's dome, yet continues to employ the standard astromech form factor so as to retain compatibility with standard astromech sockets (common on starfighters and some smaller transports). The repulsorlift ring allows for navigation at a reduced speed over any terrain, in addition to allowing the droid to actually load istelf into an astromech socket without any mechanical aid or organic supervision whatsoever. Currently, only specially-fitted Industrial Automaton R2-series units utilize a similar application of mobilization technology, in the form of retractable rockets. The rocket design adds moving parts, adds fuel and maintenance costs, and greatly increases risk of damage to the droid or craft in question. Rocket-equipped R2 units attempting to maneuver into an astromech socket have exhibited great difficulty at doing so without damaging their rockets, their leg hydraulics, marring the surface of the craft around the socket itself, or any combination of these, proving our standard-equipment repulsor ring to be superior on all counts. Also, while the GDM-8 employs two sets of wheels in parallel instead of three sets in a "delta" configuration, each bank of wheels is comprised of four high-traction tires, and the repulsorlift ring generates enough residual output when disengaged to maintain full vertical stability. In addition to all of these revolutionary approaches to aerospace robotics, we've also included a few "common sense" upgrade and options. A small exposed video display screen (protected by 0.5-cm transparisteel) facilitates communication with the GDM-8 for those not fluent in the common---but complex---beeps and whistles of astromech droid language as long as the droid is close by. Another deviation from standard practice is the color scheme for the GDM-8; there isn't one. The GDM-8's body and all applicable parts have had a primary finish and sealant applied to prevent corrosion and scratching, but we leave the color choices up to you: with each GDM-8, consumers will receive a voucher for paint or other finishing services from any of a multitude of approved service centers, galaxy-wide, at a heavily discounted rate. If you decide you prefer the utilitarian nature of the factory finish, that's okay, too! And last but not least, with each GDM-8, you will receive a free droid maintenance and diagnostics kit. Taking all of this into consideration, we here at Kalibac Industries are confident that we have been able to do more than design an astromech knockoff---we've built a better robot. "The Kalibac Industries GDM-8. He's not just your droid. He's your co-pilot." Physical Description: Shaped much like any other astromech, Kage has a short, round body with a domed head, the entirety of which is painted a dark gunmetal grey. His shape, though (which enables him to interface with any standard astromech socket), is where the aesthetic similarities end. His "legs", quite simply, aren't; they're merely part of his main body housing. At the end of each "leg" are a pair of all-terrain tires, and directly beneath his dome sits a low-profile repulsor ring. Unlike other astromechs, his body retains a vertical orientation when rolling along; the residual field from his repulsor ring helps his tires keep him upright. *Astromech droids, if acting in co-pilot capacity, may attempt starship repairs while in flight. Background: When Bri'tan found Kage three weeks ago, he was sitting in a Republic scrapyard; inoperable. His firmware had been corrupted, and for whatever reason, the Republic had decided to scrap the droid instead of having him sent back to Kalibac Industries for repair. The Bith bought the little droid for next to nothing, gambling that he could find and purchase a firmware installation package for Kage. It took him a few days, but Bri'tan was able to get his hands on one, and pretty soon had the droid up and running as good as ever. He can't be sure, but it seems that during the reinstallation of the firmware, he inadvertently overwrote a portion of Kage's existing memory. What Kage does remember is that he was first purchased and activated by a Jedi Knight by the name of Talia Vadith, shortly after the onset of the Clone Wars. Vadith, a Human female, fought heavily in the initial campaigns of the war as a Jedi General attached to the Republic Navy, serving the Jedi Order and the Galactic Republic as was needed. Though she was occasionally charged with commanding light capital ships or even small task forces consisting of several vessels, the bulk of her responsibilities placed her on smaller craft. Finding herself aboard everything from corvettes and patrol craft to troop transports and starfighters, the Jedi purchased one of the newly-released GDM-8 "aerospace" droids from Kalibac Industries to aid her no matter what ship she was aboard. This droid's primary designation was GDM-8-KG, which Vadith quickly shortened to "Kage". Whether the Jedi found herself in a dogfight, repairing a shuttle's hyperdrive, commanding a picket ship, or on a mission of diplomacy, Kage was there with her. He was her copilot, her mechanic, and her aide. Kage only remembers the first several months of being in service to Vadith; most of his memory files are unfortunately corrupted. He does remember a few small snippets about his master not coming back from a battle, though, and a check of public records lists her as killed in the line of duty. His new master couldn't be more different from his former master, but Kage is nonetheless loyal to the portly Bith, and serves him aboard the Greased Nerf with the same sense of duty as he did General Vadith. Personality: Strong-willed and independent, Kage is also fiercely protective of both his master and his ship. He is also loyal to his former master's memory, and secretly wants to do his part to help the Republic win the war against the Separatists. Altruism aside, Kage can also be condescending or outright rude towards those he feel do not warrant his respect, as well as somewhat avaricious. Objectives: To keep Bri'tan out of trouble, get the Nerf running in top shape and keep her that way, and make some money in the process. If he gets the chance to help the Galactic Republic put an end to the Separatists, then so much the better. A Quote: Beeping and twittering, after Bri'tan points a finger at him and scolds him: "Remove your finger from my immediate vicinity. Alternative: Can remove finger for you." Olive: Equipment text affecting game mechanics. Prehensile Tail: Trianii have limited use of their tails. They have enough control to move light objects (under three kilograms), but the control is not fine enough to move heavier objects or perform fine manipulation (for example, aim a weapon). Special Balance: +2D to all actions involving climbing, jumping, acrobatics or other actions requiring balance. Dexterous: At the time of character creation, Trianii get +2D bonus skill dice to add to Dexterity skills. Kel was born and raised in the Corporate Sector. His parents were Rangers and they travelled the Sector helping other Trianii as well as helping keeping the peace. While Kel felt the need of helping his people and others in need, he did not share the same philosophy of Law & Order as his parents. Kel spent many a night under punishment for his minor misdeeds. When Kel turned 17 he decided he was old enough to venture out on his own. He traded his services on transports for passage. Along the way he discovered a natural aptitude for technical ability and quickly began to learn as much as he could from the different engineers and others with like skills. After 2 years roaming the galaxy and gathering many skills he travelled to Coruscant and volunteered for the military as a logistics officer & quartermaster. Serving a total of 4 years, Kel spent the last year of his service as the Logistics & Acquisitions Officer for a Black Op�s Unit. He was trained in several skills to circumvent security and electronic surveillance in an effort to keep acquisitions off the books. Unfortunately, his unit began to take advantage of his skills and some of the acquisitions came to light. The whole unit was disbanded and several of the senior member�s court marshaled. Kel received an Administrative Discharge under General conditions. He once again took to the space lanes to barter his skills for pay and passage. Kel is easy going, but not very trusting after his experience in the military. While he tries to get along with everyone, he does not let anyone get close to him personally. He really enjoys working on electronics of all sorts and computers; those are his main passions in life. Kel is on the smaller side of his species and his fur coloring is a light tan with some distinct blue markings and a thick mane that is partially braided. He wears standard spacer garb; boots, tight fitting pants, a loose shirt, sometimes his protective vest, his tool harness and his cloak. Kel takes pride in his appearance so even when he is dressed down his clothing is sharp looking. Kel always travels with his full computer kit. The wrist mounted portable computer, his datadiscs (concealed) and his assorted connectors for the computer. He also travels with his blaster holstered to his right thigh as well as his vibro dagger in the small of his back. He tries not to be flashy preferring to blend in as best he can with the scenery and background. Physical Description: light golden brown fur with patches of rust red, which gleams in the light. Wear mostly a Asliyr attire with a �shade visor� though he refrains from the visor when off-port in Socorro. There's a nasty scar on the middle left of is chest from a Rantok stab. There are red rust swirls on his ears and he has Violet eyes. Fangs: The Farghul�s sharp teeth add +2D to brawling damage. Claws: Farghul can use their claws to add +1D to brawling damage. Prehensile Tail: Farghul have prehensile tails and can use them as an �extra limb� at -1D+1 to their Dexterity. Sensitivity (Lesser): can roll search or Perception to detect volcanic eruptions, sand wells, and other disturbances up to 2min in advanced at +2. 1-6: Raised by Biryn and Myral Pyre. 6-11: Adopted by Jarid and Iliza Starstride. 11-18:Crashed on Socorro and adopted into the Asilyr tribe. Myral Pyre was named after his mother whom had a legendary reputation for being able to lift anything off of any person. His father, Biryn Pyre, sired three children in addition to Myral. Binryall and Pynar, twin brother and sister to Myral along with Synal, a younger sister by two years. Of the four children Pynar is force sensitive, though not trained. All of them have areas of rust red fur, that gleams in the light as trait from their Mother. Biryn was an prized entrepreneur until brilliantly conned. Now Biryn and Myral head with their children to the Tapani sector planning on joining the Leauge of Tapani Freeworlds. The Pyre family set up a business on Mrisst thinking how exciting and prestigious it would be to out smart the famed intellectual inhabitants. While they were on Mrisst, Biryn and Myral taught their children both the legal and illegal of business and profession believing that it was required to be the best at whatever job or life style that is pursued. This life was maintained for years along with a secret involvement with the Pelagia Freedom Force (PFF), specifically Zanthe Nadia, whom was being smuggled profits and assets, until the affiliation was discovered by Mrisst and reported to the Confederacy. As a result the Pyre family was chased through the sector until they crash landed on Achillea. Biryn's wife died in the crash and everyone else was critically injured. Fortunately they were found by a figure going by the name of Dr. Kint (Taj Junak) he was able to heal the five year old Myral, but before Dr. Kint could heal the rest he heard people approaching so he took the injured people to heal them later. Myral Pyre was found by Jarid and Iliza Starstride Barons of House Cadriaan; not wanting to let a child die they adopted him, now under the name of Myral Starstride. Dr. Kint wasn't able to locate Myral when he reutrned to the area. Fortunately the Pyre family continues on, for now tag a longs of Dr. Kint with Pyar Pyre being his apprentice. However Myral Starstrider's life is taking a far different path, whether they will cross is left to the future. Myral Starstride since an early age was an annoyance to his older sister Taiana despite his best efforts, this was partly due to his instinctual mischievousness going against royal code. Efforts were taken to curb this behavior and it worked for a while, he took part in physical activities such as self defense and acrobatics along with etiquette and social classes, also to consume more time he was directed to light foil dueling. This regiment improved his position with house and sister, it also had helped him be prepared to assist in raising his newly born Starstride brother. This progress of acclamation, however was slowed when he met his 'Uncle' Sidney. Sidney recognized some body movement and mannerisms native to his hidden profession, that of a thief. With the influence of Sidney, Myral began a double life. The one with House Cadriaan and the life of theft with Sidney. As time passed he found that his Uncle was working for Zanthe Nadia. This double life got harder to maintain when Lady Agatha got involved. She saw what an alien second in line could mean and started influencing him. Unfortunately Anti-alien groups knew too that it could reinforce the League of Tapani Freeworlds moral and seceding attempts from the CIS. The Anti-Alien group Daemon made attempts on Myral's life and at the age of eleven he was sent into hiding with cooperation between the Cadriaan House Guard and Zanthe Nadia. Myral Starstride was on his way to a galactic fringe safe world. Though the safe world was not reached as another fringe world not on the maps pulled the ship into real space and wreaked havoc with the navigation systems. The safe world ship crashed into a sandy desert planet called, Socorro. When the eleven year old came to, he found himself in the care of the Asilyr tribe. While in the tribe he was known as Myral Sudan and Myral Sudan had a difficult time with the concept of Aa'kua, respecting space. This concept nearly got him killed a few times, that and the seismic tremors. Myral adapted to both the Aa'kua rule and learning to sense the seismic disturbances though not as well as the other tribesmen. As he lived with the Asilyr tribe he adopted some of their characteristics and nomadic ways, traveling through the badlands, covering up from the Socorro's star, as well as other idiosyncrasies. After seven years Myral Sudan was captured during the Zidth raid Incidents. His acclimation to the Asilyr tribe wasn�t all trouble and trial. It was there he met Sala Tano a Zeltron a shade or two more purple than standard with vibrant blue hair. She was one of the few non-Soccorans in the nomadic segment. From what Sudan could tell she enjoyed the excitement of moving from place to place. However when the Farghul arrived she clung to his new emotional presence. For a time this unsettled him, but Sala eventually got close enough to him to help understand the Aa�kua, a concept that troubled her for a time after she arrived. As time moved on they became closer when Sala discovered his painful past and began consoling him and closer still up until they were captured. During the beginning of Myral Starstride's disappearance from the crash the other survivors tried searching, however Socorro's �government� wouldn't let them disturb the native tribes. Myral Starstride, Pyre, and Sudan these names ranged from nothing to a beating in the Zidth service depending who was in earshot. At first he continued to use the names Myral Starstride and Sudan as defiance, not even the Asilyr would sit content. This was a clear violation of Aa'kua! However this stubbornness brought from his mixed royal/Aa'kua culture brought him injury and harder labor. Myral with any family names seemed to bring him trouble so he decided to use his Farghul instincts and training from Sidney to have Myral in any incarnation fade into obscurity. Now on this world bordering the unknown there was Ral Voidstar. (Dame Alieon Quell)Myral Starstride had a childhood crush on Dame Alieon Quell of House Pelagia. This relationship was unable to develop further due to the Anti-Alien group. Dr. Kint had met Myral Starstride during some House excursions to the Freeworlds. This affiliation began when Myral tried to pick off a shiny object from the man. They have only met during the occasional functions. Charley Freewind knows Starstride well, the House Guard was responsible for training Myral to improve his discipline due to the Farghul's tendency to cause... social faults. Zanthe Nadia has had dealings with Myral shortly after Sidney's training. Myral only somewhat understood the kind of people he was helping with his Uncle. 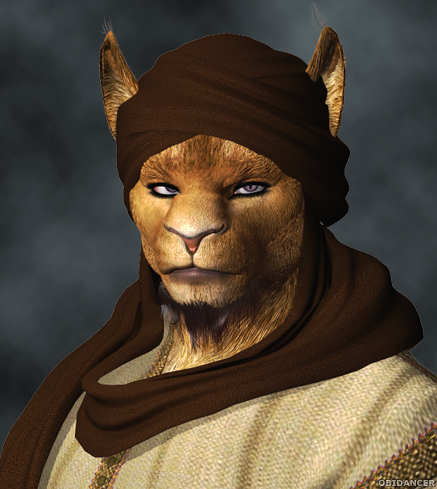 Alard Kra, a human Mentor in the Bha'lir that has interests in the Adsila Rifts. He claims these interests are motivated by self interest, ether way Myral Sudan regularly guided Alard when the tribe was reasonably close to the Rifts. Lady Agatha was involved with Myral since he was eight, instructing and guiding him in political ways he didn't understand why. Later he figured that he was being groomed by to to take over what lands the family had. Marcus Four is a Bothan Ral Voidstar befriended in the Zidth mines. Marcus talks of escape, but so far the starport is too secure. Trep Winterrs encountered Myral Sudan after one of his adventures stranded him in the desert. Myral at the time was separated from the tribe and eventually found his way back with the help of Trep. In return Myral kept Winterrs out of sight until things cooled down for the people that stranded him. The Daemon Organization- The group is more powerful than it knows, it has ties to the Mecrosa Order and it will support them if it coincides with their interests. Other than the hidden link their power is moderate. Even after Myral's loss they still search for him, though it's not a priority. Myral is still a threat if his elder sister dies and he get's put in charge of the barony. Dame Virina Tart- She has taken house rivalry a bit too far. She's only a year older than Myral and sees him as a viable target, his sister is too powerful and his brother is too young. With Myral no longer being on the planet she may just seek him out when she's old enough. Who knows whether she'll be pestering or hostel. Crayven �Warden� Wall- The Warden was the overseer of the group Myral Sudan was captured with. Myral was defiant against the Warden's subordinates which got him beaten. When Myral tried it against Crayven he was stabbed with a Rantok! [Gundark�s Fantastic Technology page 11]. Due to Myral's switch to the name Ral Voidstar the Warden had decided to make Myral Sudan/Ral Voidstar his pet. While the Farghul was at the mines this was accomplished by punishing Sala Tano, eventually he claimed to his pet that Sala died in the mines. Naros Fel- Is a person who has been swindled and conned one too many times by the Pyre family and will at least capture any of them he encounters. Fel is a licensed guild Bounty Hunter with an impressive array of � guild issue equipment. He knows he is not the best of the best yet, but his Novice designation is not deterrent from his enthusiastic pursuits. Personality:Ral Voidstar is a product of a very mixed background and racial tendencies. He to a degree maintains his race's tendencies, like jokes. He will tend to brush things off with a joke if they are uncomfortable. Due to his experience with the Asilyr tribe he can be inviting and will try to help those in need, but he has buttons. When near mistreatment he will have a tendency to step in, sometimes with a word or a fist, if the situation is grave enough like similar to the experiences under Zidth slave mining he'll have no problem introducing a claw. To people he considers friends he'll be their for, others he'll be personable after surveying the danger level of the situation or person. Voidstar will feel safe and let his guard down around Anti-Slavers.